Dynabeads Tyre Balancers - extra tyre related good. Drill bit for clearing the valve stem on tubed tyres. Presto HSS Panel Drill Bit made in Sheffield. The Flat Valves specially constructed design prevents loss of pressure and keeps the valve from being torn off your rim. In addition the hidden valves also improve the look of your wheel. 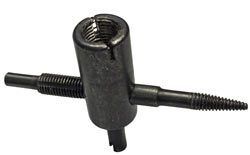 Suitable for all rims where a TR414 rubber valve has been previously fitted, whether on or off the road. 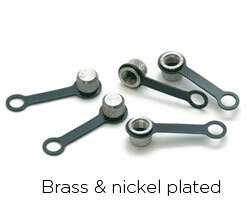 A quality product made from Brass and then Chrome Plated. 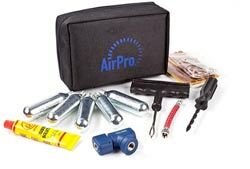 Supplied as set of 4 with a filler cap removal tool (hang it from your key ring) & 2 spare filler caps. NB: Please check that the flat valves will fit your wheels before you purchase. It is generally considered that the tyre valve cap is intended to keep dirt and water out of the valve and protect the valve core which is the air seal. Although this is an important function of the cap, tyre manufacturers will tell us that the cap is actually the primary air seal for the valve. Valve cores can leak and it is therefore essential to have proper cap with a seal in place at all times. 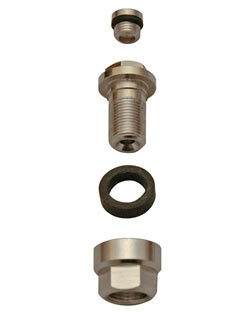 The brass and nickel plated No-Loss Captive Valve Cap is precision machined and includes a nitrile rubber seal inside. 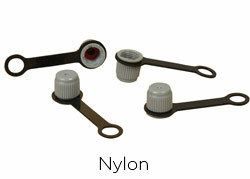 The nylon No-Loss Captive valve Cap is precision moulded and includes a nitrile rubber seal inside. 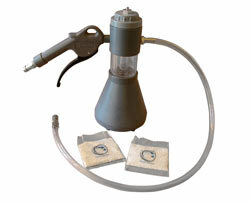 The No-Loss cap seals any pressure leaks with just finger tightening. The most important feature, however, is that it cannot get lost. The special low density polyethylene strap fixes the No-Loss cap to the valve stem whilst the cap turns easily in the strap. Even if the cap is not screwed on, it will not be lost when the vehicle is driven. Quickly and easily remove valve cores. Quality product made from hardened steel to clean/recut valve core internal & external threads whilst being able to remove & replace the valve core. Made in the EU. For the professional fitter. Call us for more information. Don’t let a puncture spoil your fun! 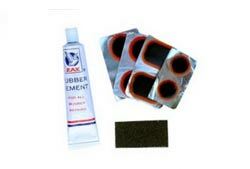 With this handy fix it all kit you have all you need to repair both tubed and tubeless tyres. 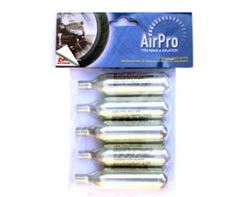 What’s more unlike many kits of this type you get everything you need including five 16g CO2 cartridges which is more than enough to inflate even the largest bike tyre. 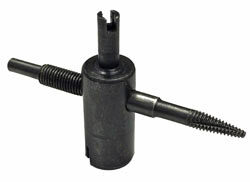 1 x Reamer for cleaning the hole in the tyre prior to inserting plug. 1 x Tubeless plug hook for inserting repair plug. 5 x Tubeless Tyre Plugs. 1 x Regulator for CO2 Cartridges. 1 x Tube rubber Solution. 5 x Assorted Patches for Inner Tubes. 1 x Emery Paper for cleaning patch area. 1 x Modelling Knife for cutting away excess plug from tubeless repair. 1 x Insulating sheet to protect fingers while using CO2 Cartridges. 1 x Carrying Pouch with belt loop.